There are certain things to be remembered during the building, implementing or optimization of a website that everyone should consider. One of such form is cloaking. These techniques are strongly prohibited by prominent search engines today. Cloaking should be avoided at any cost and in any form. As you will read on, we’ll discuss different methods and why should we avoid cloaking. Before that, let’s have a brief about the term. Cloaking is a technique which delivers a certain set of search to the search engine, while delivering completely other set pages to the viewer at the same time. There are numerous ways of cloaking. Although, some will tell you the other way around while most people say that the effective way of cloaking is with the use of IP address delivery software. This subject is a very controversial topic in terms of SEO in Dubai and has always been a great concern for many daily viewers. Cloaking software which uses IP address to deliver pages to viewers consist of sophisticated complex programs built within them. Basically, they bypass that search providing another page to the user. We will look at some explanation on how these cloaking programs work to lead such results. When a user requests or searches a specific keyword or webpage, these software’s compare the actual IP address of the requesting party, i.e. user to a database of known IP address from search engine spiders. If the IP address matches with that of the user, it provides a particular page which matched within the list of spiders. These pages are normally ranked above for that particular search engine just in order to obtain high visibility. On the other hand, if the software does not find a match on the list, the search engine directs that particular search to another page appropriate for humans, automatically assuming that the user is human. The basic reason behind the scene is that every search engine feels that they should be delivered the same webpage that a human wants to see to develop a better understanding between the search engine and the user. Web page that are normally seen by human at a search could result viewers stick reading and to it. Many search engines also feel that use of cloaking software is effectively just ‘spamming the index’. While some may not agree with this, but when you don’t have any other option than just to agree with their point of view to get your site indexed by them, you do it. Thus, always build your site in such a way that has lots of valuable content for all your viewers and make sure that search engine gets the same page as a human does. Go to this website for more information in this regard. Today, language is no only used common people; it is also used by businesses and industries around the world. As globalization becomes more common, more businesses are shifting and expanding. They’re moving from one country to another, from Asia to Americas, Europe and Africa. The native employees had little to no information about how to speak the language of the country their company had just reached. Hence, the concept of translation came in the limelight. Slowly, seeing the importance of attracting local buyers and spread the message, companies tried recruiting local staff in. In simple words, this means that if you are a Dubai resident, and expanding your business to some country, you will require a service that could provide you quality English to Arabic translation in Dubai. They say English is a universal language, which means that you can use it in a number of ways. It can even be used as a secondary language in many countries. For a businessman like you, it is a heartening thing to find the best translation services operating from UAE. You can hire one by simply contacting online or through phone. Just explain your needs and what you are looking for in the service. Try contacting many services and see if any of these fulfill your needs. 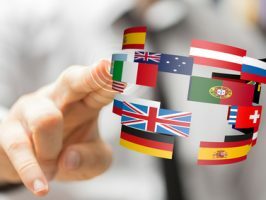 It is a fact that a quality language translation service will likely fulfill all your translation needs. Translation services in this part of the world enjoy excellent translators and cutting-edge technology. They can even offer video subtitling services to fulfill your requirements. All in all, a quality translation service is what you need so keep looking for one until you find it. Exhibiting Your Products – Is it Worth Your Time and Investment? There is no denying that exhibition stands will work best under some conditions. They are ideal to display information about your product or service during exhibitions and tradeshows. Usually, companies book a space to show the complete portfolio of their products and services. Here, the exhibition stands can really excel in attracting a large audience to your stand. 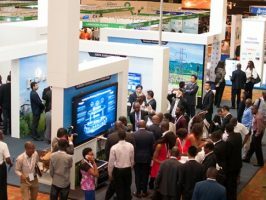 Make no mistake about the fact that exhibition stands will help your company do more business provided you’ve covered some vital points. For example, before displaying the exhibition stand, you need to ensure that it is elegantly designed. The pictures, color combination and graphics added should be very pertinent. Don’t force the issue by including unnecessary images and photos. Just add as much as you think is necessary and will help deliver the message. After all, an exhibition stall is all about delivering the right message. When yours has done so, your stall and products will start to get a lot of attention. People will flock in to see and read about your products and will rightly show keen interest. When that happens, know that your products have started to cause ripples in the show. Visit the store exhibits website to learn more about your options and how to make that hard hitting exhibition stand for maximum impact.